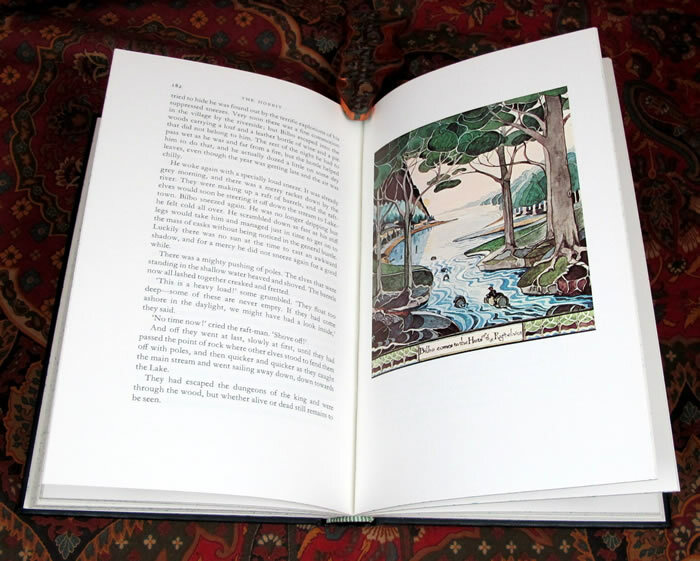 A beautiful Near Fine set of the Allen & Unwin De Luxe Editions. 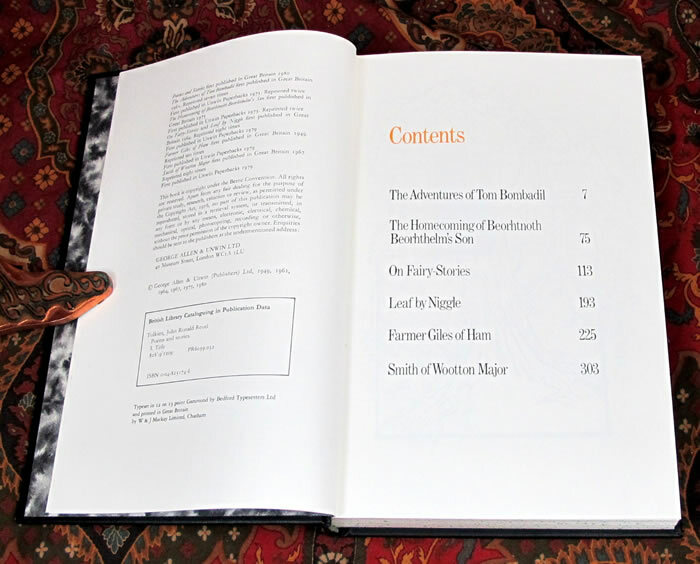 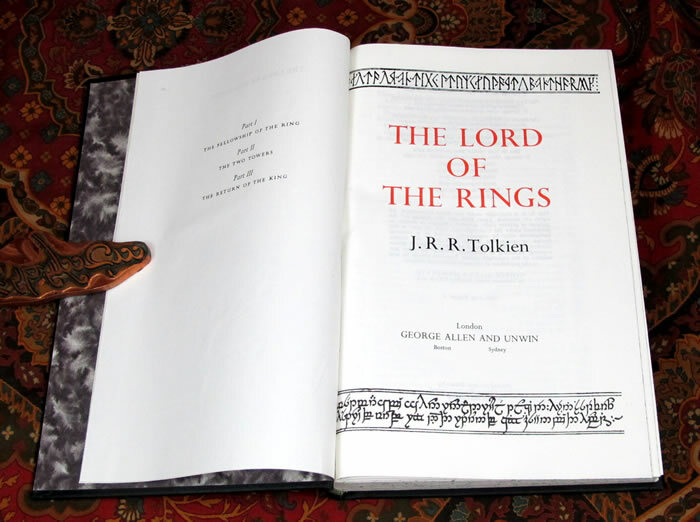 The Lord of the Rings is the 8th impression, published in 1982, of the 1 volume De Luxe hardback edition of 1969, printed on India Paper (making the entire trilogy only 1" thick), housed in original publishers tray case with clean bright label. 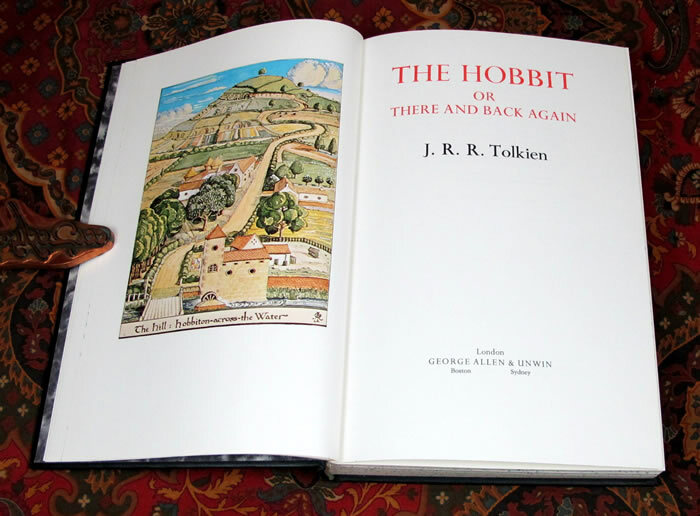 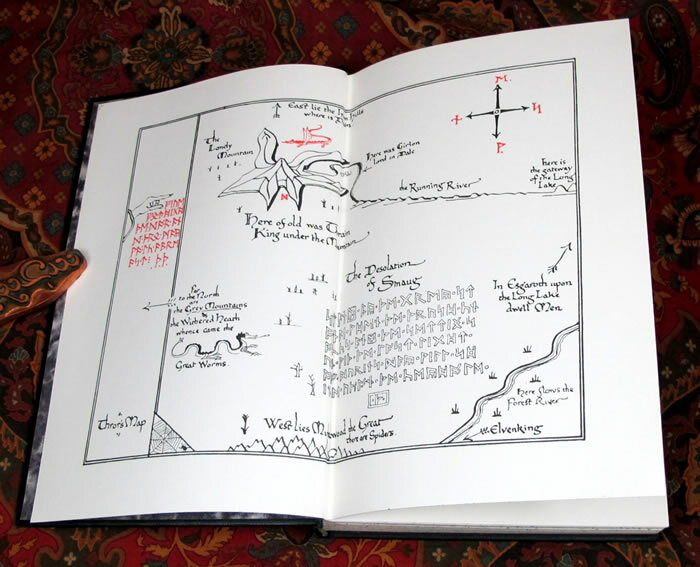 The Hobbit is the 2nd impression, published in 1979, of the 1st De Luxe Edition of 1976, with the Tolkien line drawings colorized by H. E. Riddett, also housed in original publishers tray case, also with clean bright label. 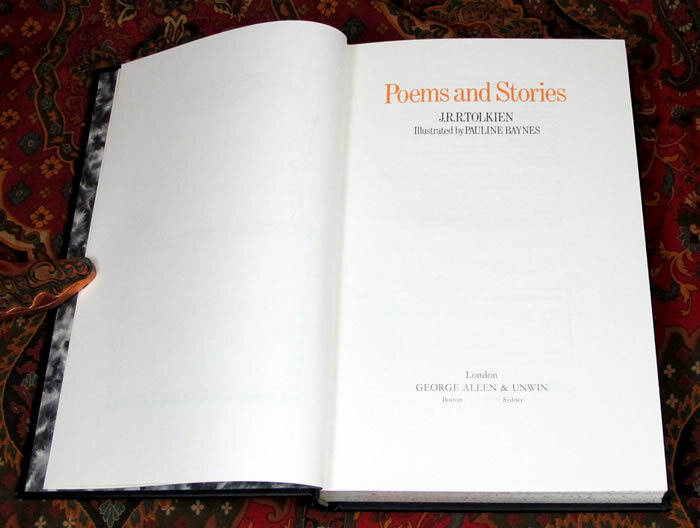 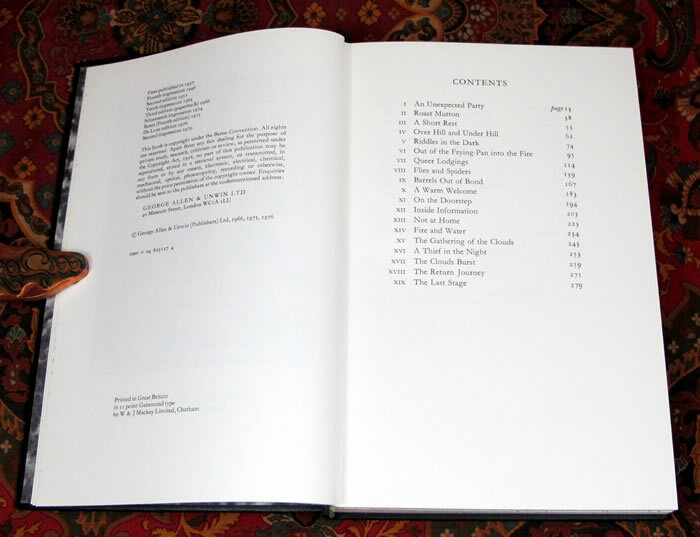 Poems and Stories is the 1st Impression, published in 1980, also housed in publishers tray case with clean bright label. 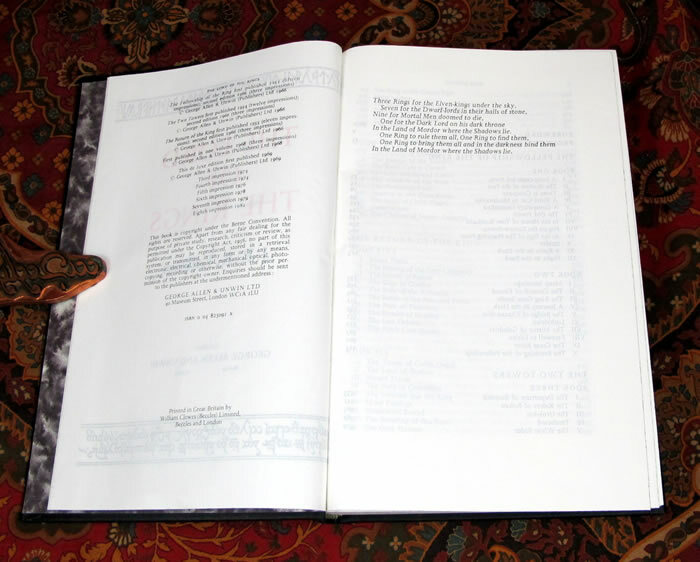 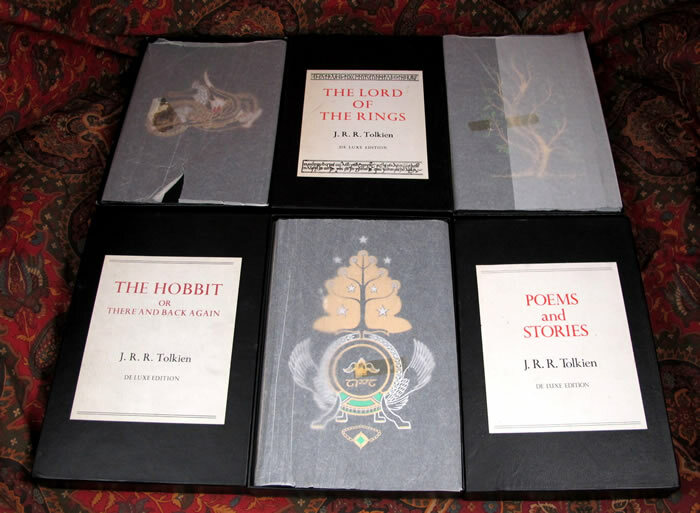 All three of these De Luxe Editions are bound in black buckram cloth, with elaborate multi colored gilt artwork to the front boards. 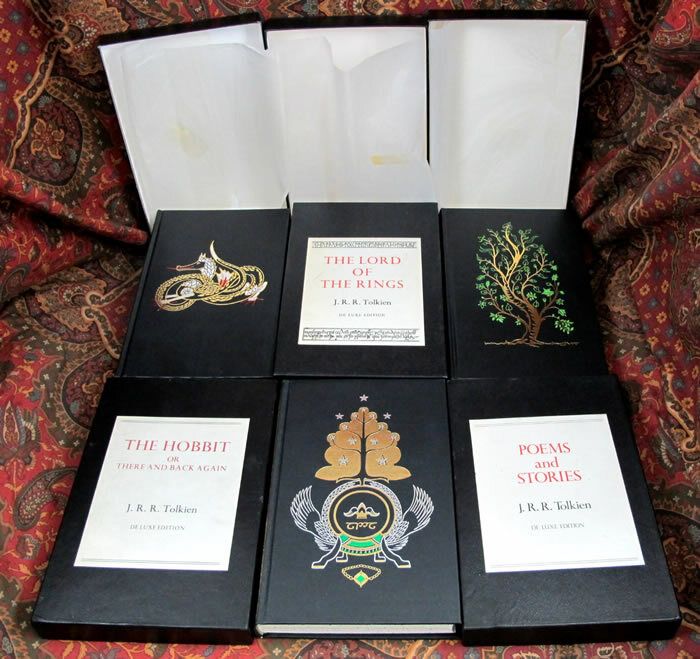 Gilt compartments with Title, Author, and publisher on the spines. 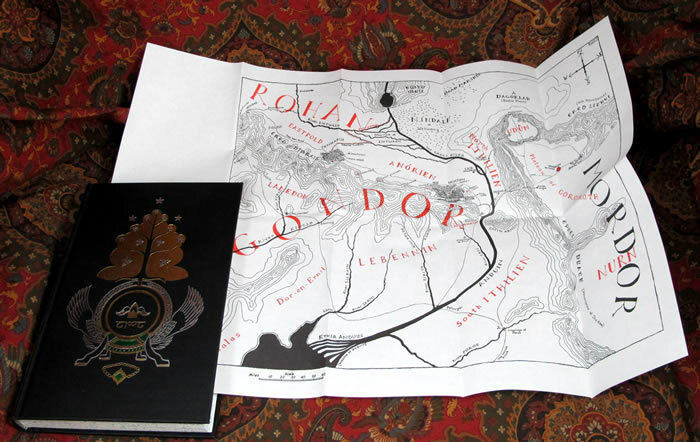 An exceptional set for the collector. 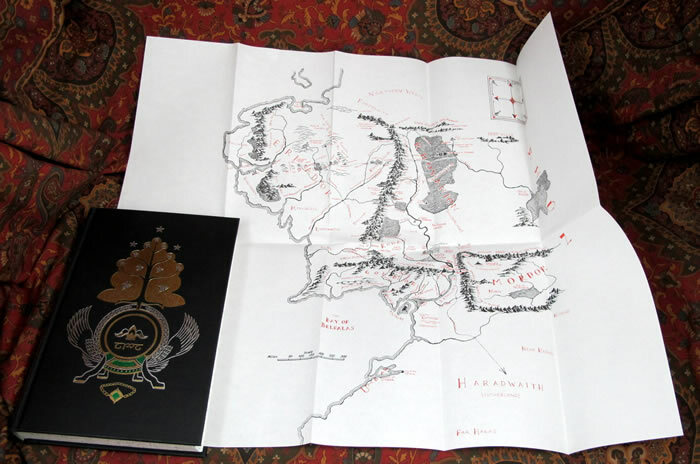 No names, writing or faults noted in any of the books. 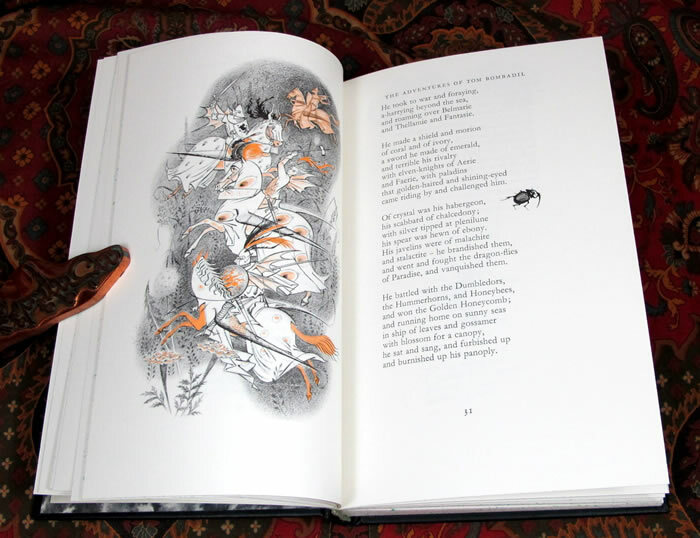 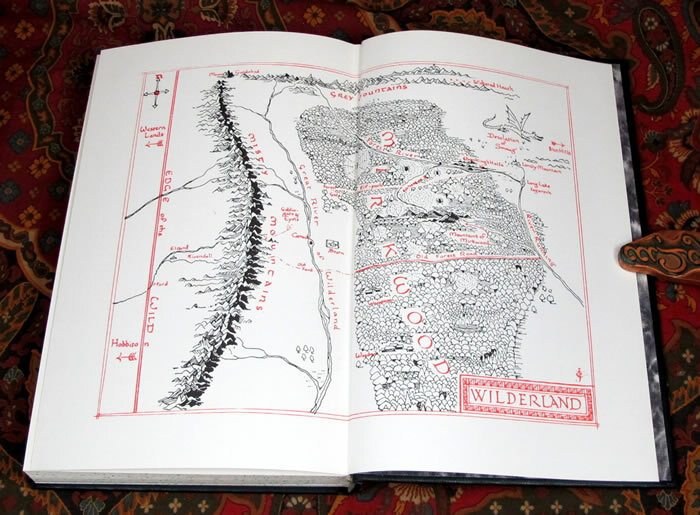 Maps are present in the first two books, Poems and Stories was not issued with one.. All of the publishers tray cases are in Near Fine condition, and have protected the books very well over the years. 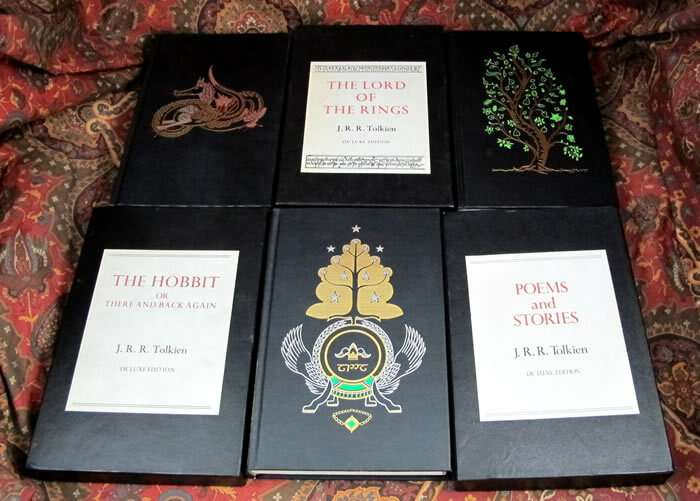 Overall Near Fine copies of these wonderful books, each still have the onion skin wrapper for the books, though the Hobbits is in pieces, and all show some wear and tear.